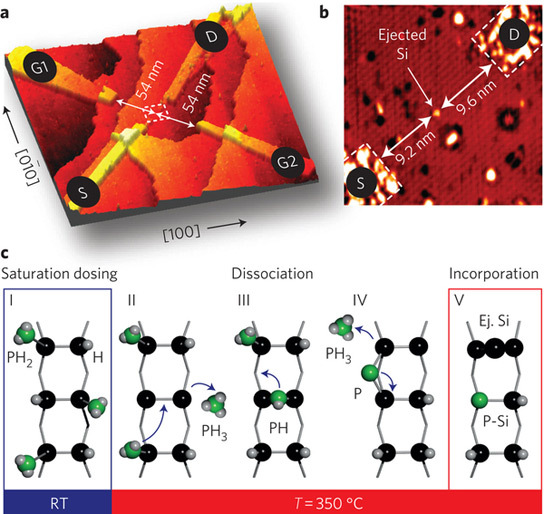 Physicists at Purdue University and the University of New South Wales have constructed a transistor from single atom of phosphorous placed precisely on a bed of silicon, heralding the advent of quantum computing. The researchers published their findings in the journal Nature Nanotechnology and it was part of a decade-long effort to create a quantum computer, a device for computation that makes direct use of quantum mechanical phenomena, such as superposition and entanglement, to perform operations on data. 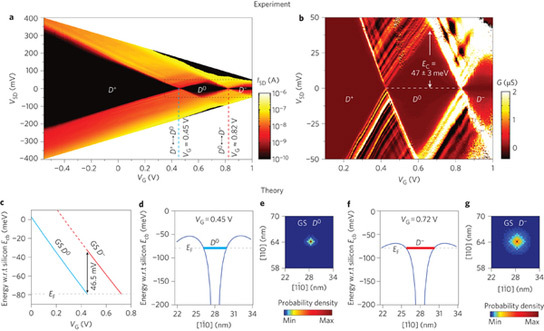 This may lead to building machines in the quantum scale. Qubits, the fundamental building blocks of a quantum computer, must be carefully isolated from the rest of their environment. In a quantum computer, information is stored on a qubit, represented by a quantum system such as the spin of an atom’s nucleus or an electron. Thanks to the superposition principle of quantum mechanics, a quantum system can exist in multiple states at the same time. The spin of a nucleus can both be up and down, meaning that it could hold two bits of data simultaneously. This means that the processing power of the device increases exponentially with the number of qubits. If there is interaction with a quantum system, it decoheres, collapsing into a single state, becoming a simple bit, which is why qubits need to be isolated from their environments. In the next few years, scientists expect the Australian group will be able to demonstrate some sort of quantum logic device using their technology. 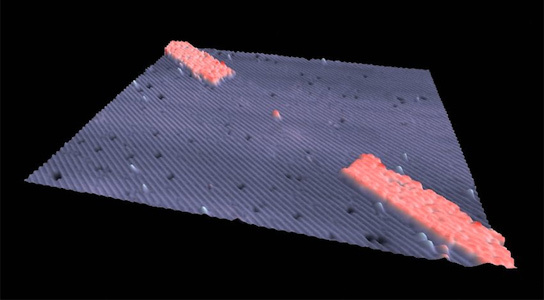 The researchers built their transistor by using a scanning tunneling microscope. The research will allow the world’s processors to exceed Moore’s Law when they arrive by 2020. Be the first to comment on "Quantum Computers to Arrive with Single-Atom-Sized Transistors"